Federal and state child welfare policies have been moving towards requesting kinship care as the primary course of action. Rather than taking the child and placing them in foster care, kinship care allows states to give family members—such as grandparents or aunts and uncles—the option to take a child into their care. 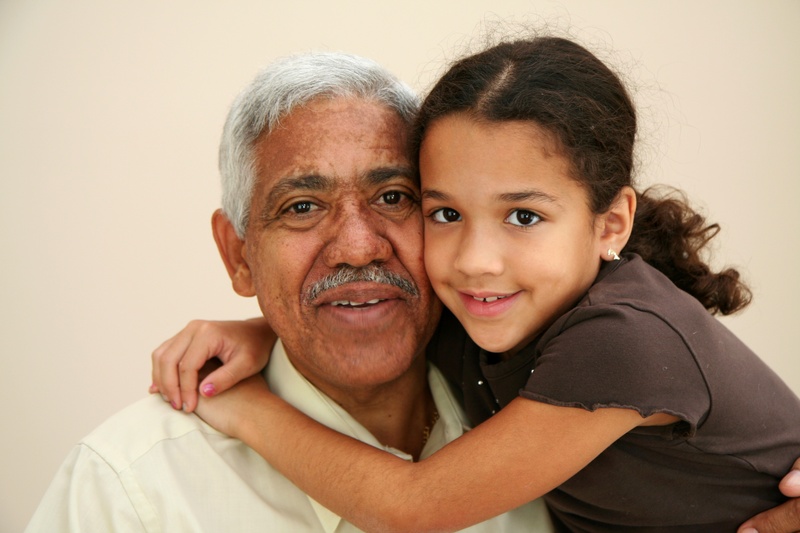 Under Title IV-E of the Social Security Act, it’s the parent or child welfare agency’s responsibility to follow their due diligence in notifying grandparents, aunts, or other adult relatives within 30 days of the child’s removal. Oftentimes they will mail out the notice along with the options available to aid in the child’s placement if they so choose. It explains the kinship/foster and adoption requirements and processes as well as the financial assistance that may be provided if they chose to take the child in. Title IV-E recognizes the financial burden an additional child can be, and its funds are specifically for assisting in lightening the load on kinship caregivers who qualify. Typically, when a child is taken into custody of the state it is because the parents are no longer capable to care for them. Some circumstances include the parent being incarcerated or deceased, addicted to drugs, or abusive towards the child. Being exposed to any of these can have some serious short- and long-term effects on a child. Along with the assistance provided through Title IV-E of the Social Security Act, many states offer a variety of healthcare insurance options to children who are in kinship care. It is understood that these children, like all children, have health needs that need to be monitored as they grow up. Children that have experienced abuse or neglect should also be examined by a mental health professional for traces of mental health illnesses that may have stemmed from the trauma. Though mental illness and trauma can be a difficult barrier to overcome, with a child being under the care of a family member they’re comfortable with, there’s a higher chance of a positive outcome. First and foremost, most of the children that are removed from their parent’s custody suffer from some degree of trauma. Most kids in out-of-home living situations are at risk for mental health issues such as anxiety, depression or post-traumatic stress disorder. A lot of the anxiety and depression comes from the trauma a child may have endured under their parents’ care and is worsened when they are removed from the home and placed in alternate housing. The adjustment period is tough on most kids and adolescents and they may act out in the beginning. Kids may struggle with behavioral issues such as physical aggression, pushing limits, stealing, or lying. Living with a suitable aunt or grandparent can make for an easier adjustment because there is already a preexisting relationship. Children are more inclined to trust and listen to their adult family members over a complete stranger. Thus, lowering the severity of these problems. A combination of mental and behavioral issues can pave a path of instability in foster care. In a foster home, children take more time to get comfortable. They are in an unfamiliar place with unfamiliar people. This unfamiliarity can cause the child further distress that some foster parents cannot manage, so they move the child to another home and try again. Kinship care is a much more stable alternative since it is more unlikely that a relative will give up care of the child and send them into foster care. In addition, the children are able to maintain other relationships within their bloodline. Being able to grow up around family members, such as cousins, and not miss out on family gatherings gives an otherwise abandoned child a sense of connection with their family. This positive exposure to family can improve mental health and decrease the likelihood that a child will misbehave to a certain extent. Even though this type of arrangement may be in the best interest of the child and is shown to decrease mental and behavioral issues, it does not eliminate them—ongoing treatment is very important for mental health stability. Thankfully, when the path of kinship care is taken, there is still hope for these kids. The states have come to an agreement that it is easier for a child to transition into a home with a familiar family member as their caregiver. Hence, the reasoning behind turning to the family before the foster care system. There is still a need for help from mental health professionals and, states are trying to aid kinship caregivers as much as they can to ensure these children are being well taken care of. Therefore, it can be to a child’s advantage that a family member takes them in before they get lost in the foster care system. To learn about new funding opportunities for child abuse and neglect programs, click here.